Join us every Friday evening from 4:00pm to 7:00pm in downtown Mahomet to shop local goods and produce! This event will run from Memorial Day Weekend to August 16th. 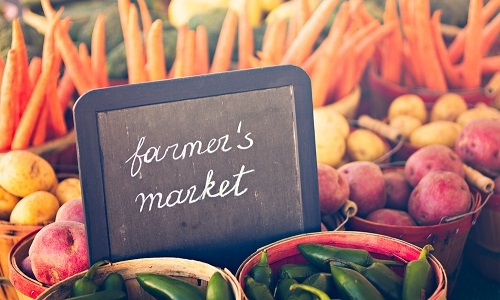 Join us for the Mahomet Farmer’s Market on Fridays from 4:00pm to 7:00pm running from Memorial Day to August 16th in the grass lot across the street from the Mahomet Community Center on Main Street. Interested in becoming a vendor at the the Mahomet Farmer’s Market? We’re always looking for more produce vendors. For 2018, the vendor cost is $100 for the entire summer! For more information, please contact the chamber office at office@mahometchamberofcommerce.com.